There is no direct equivalent in France for double cream. Some ‘crême fraiche’ can be a decent substitute but you can’t whip it. The ‘souring’ agent added varies from one cream to another so it is worth trying different ones until you find the right one to suit your taste. For whipping, look out for Fleurette and the cardboard carton creams such as Elle et Vire. Choose ‘epaisse’ or ‘entière’ with a fat content of at least 30% for a consistency that resembles double cream. UHT cream (entière) will also whip but takes longer than English double. Sachets of powder called ‘creme fixe chantilly’ can often be found in the baking section. Add this to cream to help thicken and stabilise it when whipping. Bear in mind that the powder contains sweeteners and flavourings and may not always be suitable. ……. 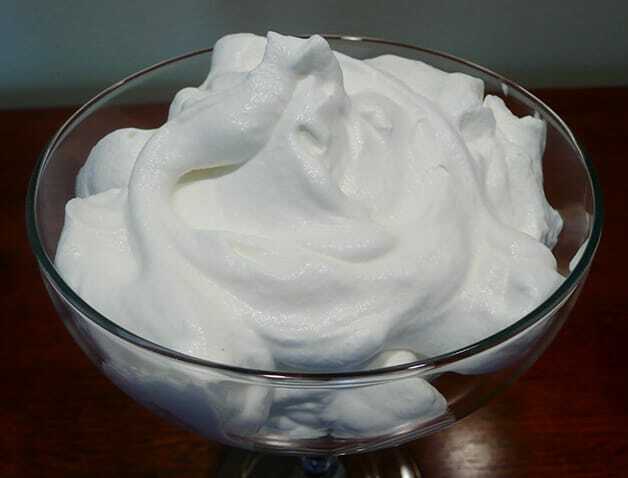 chantilly – sweetened whipped cream. ……. fleurette – liquid heavy cream. …….. brulée – rich custard dessert topped with caramelised sugar. If you don’t live too far from the Spanish border, or regularly shop in Spain, pop across the border where it is available in the supermarket Escudero in La Jonquera described as “whipping cream” …..and it is the real thing.